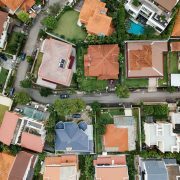 Roofing repairs are rarely done in the winter season where the temperatures and environment are not ideal. 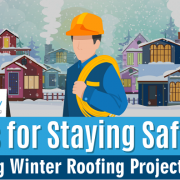 Working on a roof in icy conditions can be dangerous as it comes with inherent risks. 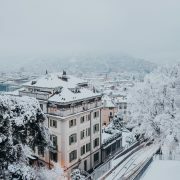 However, roofs get damaged during winter due to the cold temperatures and the heavy snow. Leaving it on its own would only leave you with even bigger problems and hefty repair bills. Here are some repairs that can be handled even during winter. 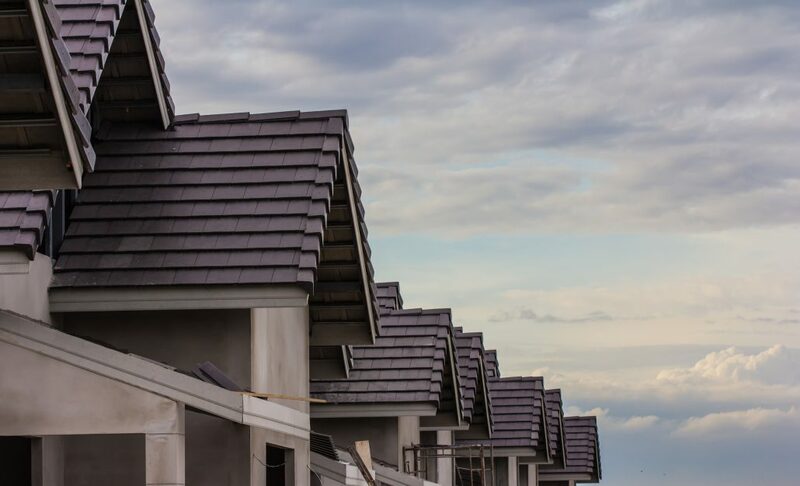 Flashing is essential for areas such as edges, valley, joints, gaps, intersections, grooves, or projections of any roof structure that are at high risk for water seeping through them. As water leads to mold, mildew, and even major flooding, this protective seal would serve as the first line of defense against moisture and water intrusion from areas that shouldn’t be in. 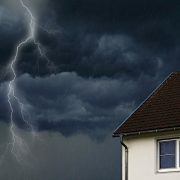 Flashing damage may be unavoidable in areas where extreme weather is common especially during the winter season with heavy snowfall, hail, and strong winds. These elements could loosen the flashing and cause it to pull away which would cause water to leak into the attic and interior. 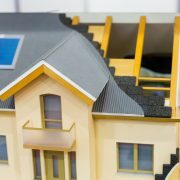 Many roof leaks occur in places where the roof meets up with the home’s skylights, vents, chimneys, dormers, and others that flashing covers, so inspect these connection points and check the flashings for holes, cracks, bending, dried out or loose sealants, and other signs for damage or deterioration. Shingle roofs are the most likely to suffer as a result of heavy snowfall during winter as shingles can become very brittle in cold temperatures especially if they’re already old. The wind, ice, and snow can cause the brittle shingles to crack, chip, or break off, exposing the roof and your home to potential leaks and water damage. Curling or cracked, or missing shingles will allow moisture to seep through the roof and enter your home which has the potential to create substantial damage to your roof. If you have damaged roof shingles, it’s essential that you repair the problem promptly or you could end up with a leaky roof. 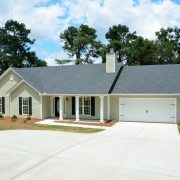 However, it would be best if you only worked with asphalt shingles during winter when you need to. While asphalt shingles can be worked on during winter, extra care is needed to prevent cracking or breaking these fragile roofing materials. The heat from the sun is also needed during the sealing process. Gutters play a huge role in keeping your roof dry and clear during the wet winter months. It helps remove water safely off the roof. However, it usually gets serious clogging during the winter when it collects a lot of twigs and other debris. 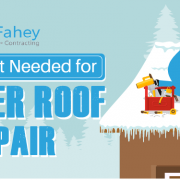 When the snow on the roof starts to melt, gutters that are broken, run-down or blocked would trap water on the roof which could lead to the formation of an ice dam as well as cause water damage to both the roof and interior of your home. Furthermore, the extra weight from the melted snow can also lead to the gutters breaking down and potentially falling off the house. Gutters that are not functioning effectively shouldn’t be left ignored as the pooling water could seep through the roof and into the attic which would cause molding and rotting inside your home. Ensure that the downspouts and fascia are not clogged with ice, snow or other debris such as stray branches or dead leaves. Excess snow buildups can be removed with a roof rake while ice should be chipped away using a hammer and chisel. While it’s a tedious chore, cleaning the gutters and downspouts from time to time would keep your roof healthy and allow moisture to clear from your roof. Gutters can be effectively repaired and installed during the winter just like in any other season as long as the day is dry. Leaky roofs are especially troublesome no matter what time of the year. Water can move quicker and cause more damage than you might expect, even when a leak appears to be small. Continuously exposing the roof’s underlayment and structure to water from snow could weaken its integrity and possibly collapsing on anyone underneath. It’s why any leaks that you notice during the winter should be addressed as soon as possible. While it’s uncommon to have roof repairs during this season, you shouldn’t postpone your repairs until spring. It’s better to get it fixed now instead of worrying about whether it could hold out throughout the whole winter. 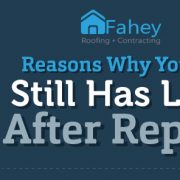 Delaying repairs would only make it worse and cause more damage to your roof and home.